Your Yellow Page ad can be redesigned to be more effective and less costly. Your Yellow Page agreement has an “automatic renewal” clause. Chances are you were not aware of this. This clause allows the phone book company to place your current ad in the upcoming phone book at the updated rates and you have to pay the bill, even if the ad is wrong! It’s their way of dealing with the businesses who simply refuse to talk or meet with the Yellow Page reps.
You can and should be able to receive your discounts – even if your new ad is smaller. Too often business owners are told if they reduce the size of their ad they will lose their discount and it will end up costing the same. They are told they might as well keep the bigger ad or increase it. This just isn’t the case. Before deciding what to spend in the Yellow Pages, it is important to know how consumers use the Yellow Pages. There are six ways consumers use the Yellow Pages, other than PRICE SHOPPERS who call everybody. Do you really want the price shopper? The first four categories of Yellow Page users are locked in “by the name of the business”. They will find that business in the in-column alphabetical listings. The new-comer will look at the in-column listings for a local telephone number prefix or become a referral “by name” caller. The sixth type of user will use the in-columns, alphabetical listings and the display ads. They just want to reach someone. What percentage of my business is repeat business? What percentage of my business comes from referrals? Should I be using creative media to generate more of caller numbers three and four and not stand in line in hopes of getting a call from the panic or price shopper? 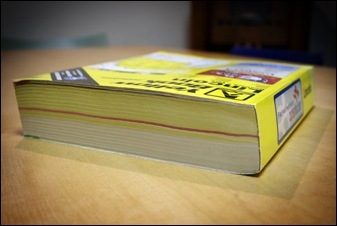 The Yellow Pages were created to be a directory. It was designed to be a list of names and numbers and addresses. As a business owner you will be wise to use the Yellow Pages as a directory and not as an advertising medium. 1. Contact your Yellow Page provider. 2. Redesign your ad to make it less costly and more effective. 3. 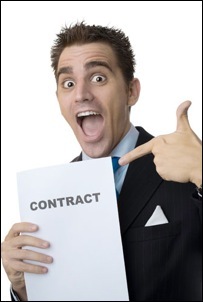 Cancel your automatic renewal clause and re-negotiate your agreement. We will do all the work for you so you don’t have to bother with it. If you are tired of feeling like you are trapped into spending more than necessary to make your phone ring, let’s talk. Call or email and we will help you be more effective in the Yellow Pages at a surprisingly smaller investment! Do You Watch TV Commercials? In a report by The Guardian from August of 2010, it stated that 86% of people skip TV ads. Wow. Where do you put your advertising dollars? If you are reading this blog entry, there is a good chance you own a small business and you make decisions about how you will advertise your business. Chances are good you are bombarded on a daily basis with one or more media sales people wanting to “show you the way”. If you are like most business owners, you do all you can to remove the sales person from your business as quickly as possible. Over the years I’ve seen a variety of ways utilized to achieve this. The most common is the “I just don’t have time right now”. A close second is the always popular “My budget is spent for the rest of the year.” But there are many more that you may want to share. The one that always makes me laugh are the business owners who will actually buy what the person is selling just so they will leave. We need to help you learn how to say “No”. Subscribers to Marketing Firepower understand the value a website plays in the overall marketing and advertising success of a business. They understand that a website is not so much an advertising medium as a place to share valuable information and to help move consumers through their Buying Funnel. 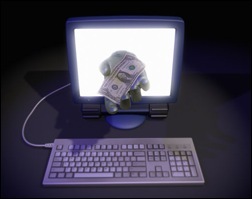 If the business can utilize ecommerce on their site, that’s a bonus. However, not every business understands this. The other day I went to a website of a company I was interested in doing business with to get some contact information. I “Googled” the name of the company and found their site. I was instantly disappointed. At the bottom right of the page the company “proudly” stated (they had to be proud because it was very obvious) their site had last been updated in July of 2007. 2007! How many business owners have you known that thought yellow pages “advertising” was money well-spent? That’s what I thought. Not very many, if any. Not long ago I was visiting with a business owner who had been looking for “a better way” to attract people to his business. He was bemoaning his recent annual meeting with the yellow pages sales rep. Nothing new. It was the same old song I had heard so many times before. Every year he wanted out. Every year they “talked him into” maintaining or buying even more space. 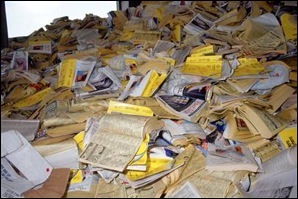 Why “Waste” Your Money in the Yellow Pages? 1. FEAR OF LOSS — You are told you must have a big ad to be near the front of the category or our competition will get all your business. 2. EGO – You are told that with a big ad you will appear to be a leader in the community and your competition will see that you are a force to be reckoned with. 3. HOPE FOR GAIN – You are told that if anyone needs your service, you must hope they will find you and that having a big ad will make it easier for them to do so. So think about your yellow page purchases. Did you or do you fall into these three traps laid out for you? The yellow pages are a directory. Not an advertising medium. Have your name listed or have a small in column listing but don’t spend hundreds and thousands of dollars a month on something that is not actively telling people why they should be doing business with you. 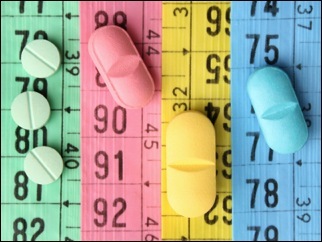 Diet pills or Marketing Firepower — You decide. A friend of mine was telling me about a new diet he started a few weeks back. He was pretty excited that he had lost a few pounds already and that he “didn’t have to do anything to lose the weight”. The magical pills worked overnight melting his extra pounds away. I told him about something I had recently started doing. It was a workout that took me about 10 minutes a day and I was eating smarter. I told him I had lost about 15 pounds in the last few months.